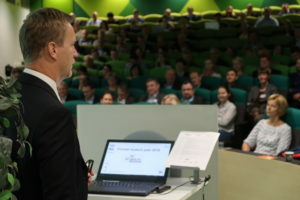 Arranged for the 12th time, the HealthBIO seminar attracted a record-high number of participants to the familiar venue, Conference Centre Mauno in Turku Science Park. 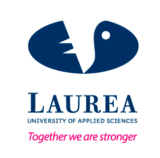 More than 250 people signed up for the seminar on 5 September, the get-together event in the evening, and the following day’s partnering event. “The atmosphere was positive and enthusiastic”, sums up Tero Piispanen, Director responsible for HealthTurku in Turku Science Park Ltd. The enthusiasm stems from the success of the pharmaceutical and diagnostics sectors as well as health technology. Tero Piispanen’s review on the development during the past year showed that the value of exports of health technology from Finland rose to over 2.2 billion euros in 2017. At the same time, the value of pharmaceutical exports was at the previous year’s level at just over 1.6 billion euros. “The most important markets of Finnish health technology are the EU countries and the USA. In Europe the key markets are Germany, France and Great Britain. There’s also growth in Russia with exports valued at 63 million euros last year”, Mr Piispanen says. The review on the past year included figures indicating growth and development of business. A total of 12 new life science companies have been established since autumn 2017, five of them in the Turku region. The development work of many new drugs has made progress, and several companies have successfully acquired financing. Another piece of good news is the growth of crowd funding which is also visible in the field of health technology. One of the interesting keynote speakers was Miriam Holstein, CEO of Bayer Nordic who started in her position a year ago. She is in charge of the North European operations of the company with a global turnover of 35 billion euros that employs nearly 100,000 people and spends annually 4.5 billion euros in R&D. She says that she has made herself at home in Finland and feels very welcome. Ms Holstein says that her observations also apply to the company’s operating environment in Turku. Watch a video interview in which Miriam Holstein also reveals the secret of the success of the company’s intrauterine device Mirena which is made in Turku and sells for over one billion euros globally! 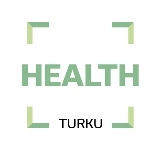 Next year HealthBIO will be part of the Life Science Live event to be arranged in the Turku Fair Center from 15–16 May. The main theme of the event for medicine and health care professionals will be artificial intelligence in health care, drug development and biotechnology. 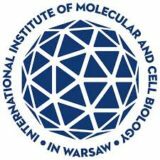 In addition to HealthBIO, the event will include the European Institute for Innovation through Health Data (i~HD) conference and an exhibition area focusing more broadly on new innovations.